I recently discovered the magical work of Azumi Sakata on Instagram. She uses goldwork techniques to make her brooches with subjects including moths, aliens and eyes, I particularly love these goldwork mummies and skulls. 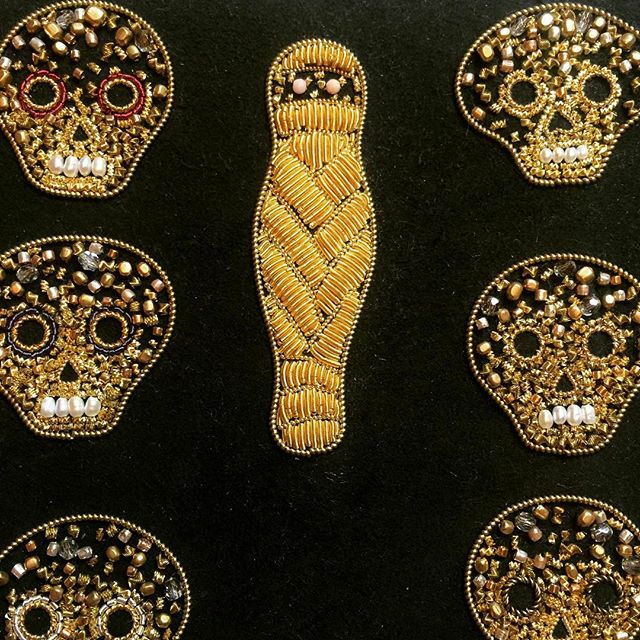 Her instagram feed is full of shiny things and beautiful art dolls and embroidery art and she has a beautiful website (in Japanese but full of photos of her work). 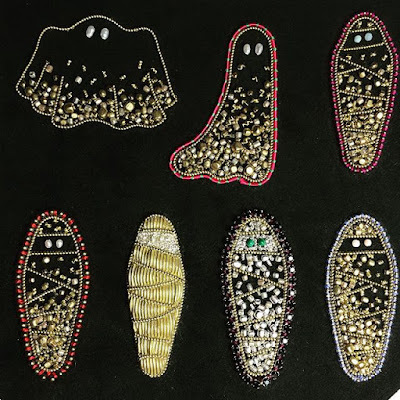 She has a really distinct style to her work with her inventive use of a traditional technique and the added bead and pearl embellishments. Azumi's work is available to buy in her etsy store.